This is it! You are invited back for a 3rd interview and feel confident that the job will be offered. 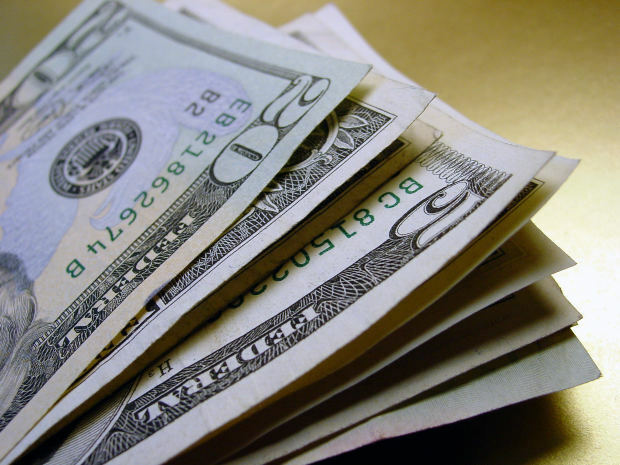 Here are some tips to consider when the subject of salary is mentioned. Before the meeting, do your homework on market data for the salary you can expect for the position. You can use one of my favorites – www.salary.com and make sure you use your zip code, city and state. Let the interviewer mention salary first. Try to find out as much as you can what the job actually entails; ie, overtime, travel, benefits. It’s to your benefit to know exactly what requirements and responsibilities will be expected in the position. Be confident of your strengths and achievements. Offer documented value of what you can bring to the job. Bring along a previous performance appraisal. The interviewer or employer should make the first salary offer. If you are asked, say that you expect a competitive market value salary or you can give him/her a range that you find acceptable. 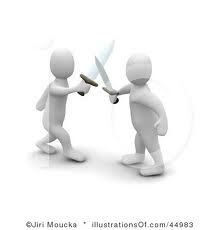 Don’t be too aggressive in negotiating what you expected. An offer is an offer and you can say no. You do NOT have to accept the first salary offer. If you feel it is inadequate or less than you desire, you CAN negotiate salary. Try to focus on the employer’s total compensation offer. If the company offers excellent 401k, savings, insurance, wellness, bonuses, vacations, etc., you may want to take that into consideration in lieu of a higher salary. You may also negotiate extra vacation or extra personal or sick days or bonuses in lieu of salary. Thank the employer for the offer when it is made, but don’t try to negotiate right after the offer is made. Ask for some time to think it over. Salary negotiations is not a game or status to see how well you can do. Never inflate your current or previous earnings to try to get a higher offer. Human resource departments share this information with other companies and it is likely they already know what you are or were making. You should consider where the company is located, how they are doing (check out their annual report), what the turnover of employees is, travel time to and from work, working conditions, and what your title will be. A Vice-President in one company may be a Director or Manager in another company. Some may have offices but many have cubicles. Decide what is most important to you before the meeting. If you find the offer acceptable either at that meeting or a subsequent one, ask for the offer in writing. Most companies supply them without asking, but inquire to make sure they do. Good luck – I hope the job is the one you want and the salary, too! Do we really understand all that Mary suffered? Today we hear a lot of criticism of Mary and the denial of her role in Redemption. There are novels and movies that portray Mary as the stereotypical Jewish Mother, far from perfect. Many Christians feel that Mary shouldn’t be considered any better than one else especially the Apostles. Peter who denied Jesus and Paul who persecuted the Church are held in higher esteem. I’ve even heard a sermon by a Catholic priest critical of the Miraculous Medal Novena. If we really understood all of the pain and suffering Mary went through for our sakes we would be sure to honor her. Probably no one but Jesus suffered more for the Church. Mary suffered emotionally for almost the entire life of Jesus. We might as well start at the beginning. Most of us think it was probably exciting to have the Angel appear with his message. But who would believe such a message? Joseph didn’t. He was going to divorce her quietly. How would you like to be pregnant and not married in a society where you get stoned to death for it? Only the appearance of an angel in a dream to Joseph and Joseph’s decision to marry Mary saved Mary from that possibility. It didn’t save her from the gossips and backbiting. Think about that! People were speaking negatively about Mary right from the start. All through the life of Jesus there was gossip about her. We all know about the journey to Bethlehem and the birth in a stable. We can imagine how hard that was. We read in Scripture about the Feast of the Presentation when Simeon held Jesus in his arms and prophesied that a “sword will pierce” Mary’s heart. Simeon confirmed that the prophecies of Isaiah applied to Jesus. He would not be a glorious king like David as many of the contemporary Jews thought but a suffering servant destined to die for our salvation. Would it ever be possible to Mary to forget that her son would suffer so bitterly? We know about the Flight to Egypt and the deaths of the Holy Innocents. How did that feel? Your son isn’t even two years old and they tried to kill Him. On top of that women you knew had to suffer the murder of their children. How would it feel later to watch your Son leave to begin His Mission knowing that it would end in the Cross? How would it feel to hear of the attacks of the Pharisees? How would it feel to hear of so many people who rejected Jesus and to see this happen personally in Nazareth? How did it feel to go to Jerusalem for the Passover, knowing what was coming? How did it feel to hear from John that Jesus had been arrested? How painful must it have been to hear the crowd thunder “Crucify Him”? How painful could it be to see your only Son carrying the Cross after having endured the Scourging and Crowning with thorns, to see the blood running down His face and the stains all over His tunic? How would you feel to see rocks and other projectiles strike your Son, to hear Him cursed, mocked and called illegitimate? What was it like to watch Him fall and hear people cheer? What was it like to see His hands nailed to a cross and then His feet? What was it like to see His body jolt as the Cross was placed in its hole? What was it like to watch His body convulse in pain? What was it like to see Him unable even to hold His head straight because of the thorns? As bad as it was to watch all this Mary had to listen to the mocking of the Pharisees and others, to her Son cursed and mocked but also to hear herself abused. Think about it the one way to increase the pain of Jesus would be to abuse His mother in front of Him. Think about how Jesus felt then. Think about how Jesus must feel now to see His Mother mocked in plays and books, to hear her role denied and degraded, to hear that she was a sinner as Protestants claim. Think about what we are doing as we do such things. We join with those on Calvary who hurt Jesus by mocking her. Do we really want to do that? It is bad enough that Jesus had to suffer for our sins. But do we have to join those on Calvary mocking His Mother? I can’t find anything good to say about gossip. Gossip hurts people, can ruin friendships, and can unnecessarily and seriously change a person’s life. What is gossip? Online definitions are: Rumor or talk of a personal, sensational, or intimate nature; A person who habitually spreads intimate or private rumors or facts or trivial, chatty talk or writing. Who gossips? Almost everyone passes on information about others and sometime exaggerate or sensationalize what they are passing along. 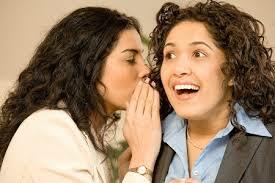 When and why do we gossip? 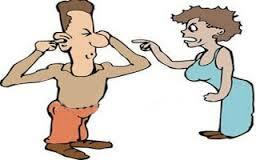 It is common to gossip when we are idle, bored, feel somewhat inadequate and put someone in a bad light to make us feel superior to them. Sometimes we gossip to pass the time, or become caught in a web when others around us start to talk about others. This is pure speculation on my part, but maybe God got so many prayers from victims of gossip that He included it in His commandments: “You shall not bear false witness against your neighbor”. What good does it do to the problems and heartaches of people to add your comments, predictions and judgments? “Let he who is without sin cast the first stone” was Jesus’ answer to gossip and judgment. In my encounters with teens, I notice that they love to gossip. It is a delicate balance today to be a teen, and I see many teens, both boys and girls -tremendously hurt, as only emotion-heightened teens can be, by the weapon of gossip. Most gossips are untruths, they spread around like fire, and even end up on the internet. Do the perpetrators have any idea of the heartbreak and helplessness that the victims feel when lies are told about them publicly or on Facebook? Would anyone like it? Proverbs 20:19 – A gossip betrays a confidence; so avoid a man who talks too much. Proverbs 11:13 – A gossip betrays a confidence, but a trustworthy man keeps a secret. Proverbs 16:28 – A perverse man stirs up dissension, and a gossip separates close friends. Proverbs 25:23 – As a north wind brings rain, so a sly tongue brings angry looks. Proverbs 26:20 – Without wood a fire goes out; without gossip a quarrel dies down. Proverbs 26:21 – As charcoal to embers and as wood to fire, so is a quarrelsome man for kindling strife. Psalm 34:13 – Keep your tongue from evil and your lips from speaking lies. Many years ago, a well-known newspaper printed “I am Nobody’s Friend” on a full back page. I saved it for a long time; it had such an effect on me that it changed how I felt about repeating things or listening to gossip. It is worth keeping or at least in the back of your mind….tack it up on the fridge or at your desk at work. Before you repeat a story, ask yourself: Does this person need to know this? Is it harmless? Is it necessary? If it isn’t, don’t repeat it. The story begins in 1908 ~ over 100 years ago. The West Virginia countryside was blooming with colorful wild flowers on the hillsides. In a little country church, Ms. Anna Reeves Jarvis, surrounded by the sights and sounds with which she grew up, caused the first Mother’s Day Sunday to be observed. Her own mother had passed away two years before, but the memory lived on. Just one year following the mother’s death; her still-bereaved daughter announced her intentions of founding a day to pay tribute to America’s moms. A year of persuading Philadelphia civic leaders ensued led by the reigning American merchant, John Wanamaker, to back her crusade. Politicians, business leaders, educators and others joined the movement. What had been a “good try,” however, fell of its own weight: the concept was too sophisticated for the societal position of mothers and women in general. Despite the international leadership and sponsorship, women crusading for peace in the world never could be in the environment of that day. It took sons, daughters, parents and friends all over the nation to give new life and enthusiasm to Mother’s Day. In 1913, the U.S. Congress, by joint resolution made Mother’s Day a national holiday. In 1914, President Woodrow Wilson issued the first official announcement proclaiming the second Sunday in May a national holiday. 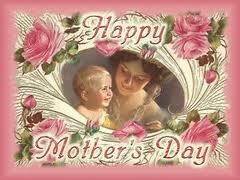 Today Mother’s Day is observed across the seas and in more than 100 countries of the developed world. It has an avalanche of acceptance. Jarvis was generations ahead of her time in her view of feminism. Today 75 percent of all mothers with children under the age of 5 work outside the home at least some part of the week. In fact, more women than men are enrolled in college. Women practice medicine, law, engineering, teaching,e politics and social work — every profession and skill once dominated solely by men. A Happy Mother’s Day to all on Sunday, May 8th! You can get along with all of the people some of the time; you can get along with some of the people all of the time but you can’t get along with all of the people all of the time. A spin on the old adage. It is an unfortunate fact of life that we simply can’t get along with everybody. If we are lucky, we have good relationships with our family and friends and in-laws, but every once in awhile, there is someone who becomes a ‘literal thorn in our side’. Sometimes, it is apparent why this happens. But other times, as much as we analyze and pick the relationship apart, conversation by conversation, we can’t understand totally why this happens. Call it karma, call it fate, call it ‘that’s life in the big city’, it can play havoc with our lives. This is especially so, if it is a family member, a spouse, or an in-law. It can be someone we are close to and see frequently; or it can be someone we’re not so close to and see infrequently. The latter can be spaced out in visits (if you have to visit them at all) and can be managed. Somewhat. But, what do you do when it is a sibling, a parent or God forbid, a spouse? 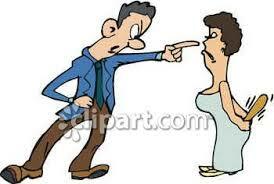 If and when you are immersed in a dysfunctional relationship, emotions can override logic. If it is a parent or sibling, we are talking a major challenge. 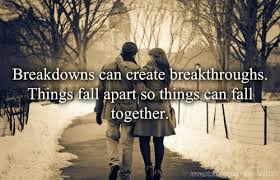 If it is a spouse, it can be catastrophic. What do you do? Do you bite your tongue in all conversations, hold back lashing down to a minimum, feign sickness to avoid them? Work more; socialize less, bury yourself in a book? 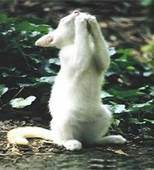 Or do you join in when they are around, feel stressed out and pray that the day turns out ok and not into a fiasco. Others are counting on you to ‘join’ in the group and just ‘keep cool’ or ‘chill out’ or anything short of sitting on you and duct-taping your mouth. Well, there are many variables here. In a family matter – a parent, a sibling, a child – there is a history here and lots of interchanges. Some issues are so interchangeably tangled, that unless the ‘diametrically-opposed players’ come to a prayerful compromise and exchange of promises and a sincere heart change, there is little hope that they will link arms and have a drink together. In fact, drinking may make it worse. A spouse you don’t get along with is much more challenging. This is a life commitment you both made. Serious and truthful conversations, role playing (perhaps with a third party), and a sincere desire to change the situation is warranted if you want to right it. It’s not going to go away by itself. One person can’t change it; it needs both. Make that three – add God. Positive actions, prayers and verbal affirmations help to get issues out in the air and looked at. Three steps forward and two steps back – but keep forging ahead and praying while you do it. It may work out. It has worked out. And made relationships stronger. But it also hasn’t worked out. And relationships end. I had such a person in my life. This was a ‘long-history person’. We simply were like oil and water. Things said were not taken the way they were meant; get-togethers became strained with stress; attempts to make it better made it worse; and the chasm opened wide and threatened to swallow us. This relationship caused additional spiritual stress for me: didn’t God tell us to forgive seventy times seven? Aren’t we supposed to ‘love one another as He loves us”? How could I reconcile this fractured relationship with my faith? How could I change into something I wasn’t? I tried and tried and couldn’t and didn’t . One day, at church service, there was a visiting minister. His topic was ‘You Can’t Get Along With Everybody’. I was all ears. His sermon was loving, prayerful, scriptural and reality. He looked out at all of us and said, “You have to face the fact that you won’t get along with everybody in life – it could be someone close, a loved one or even a child of yours. You simply will not have a good relationship with them.” And then he offered, “Even Jesus did not get along with everyone. As a native Nazarene, he was not always welcome in his own neighborhood; people mocked him that “he was a carpenter’s son – how can He think he is a Son of God; we knew Him as a child playing’.” Jesus left his hometown and started traveling with His ministry. And when He and/or the Apostles were not welcome in a town, He told them to ‘wipe the dust off their feet’ and move on. Please understand that this minister was not suggesting that you disregard any and all people that you don’t get along with and wipe them off like dust. Remember, we are all imperfect. Life is a compromise with almost everybody. It is usually a loving compromise and returned as such. Sometimes people have life changes and within those changes, people temporarily behave differently and relationships change with them. They may be going through a rough time; and they need your patience and love. I’m not talking about these kinds of ‘not getting along’. They are transient and natural in all our lives. I’m talking about the constant, never-ending, always-the-same negative and destructive relationship that causes stress every time you connect. I found a serene feeling of letting go that day. And I followed his advice. I also began praying for that person. And that was very difficult for me. The first few prayers were stifled and stiff and seemed to get stuck in my throat. But I kept at it and in time, sincerely meant the prayer. I pray for this person to this day. I pray for her peace; I wish her well-being and remind myself that she is loved as a child of God just as I am. With my change in attitude and prayer, I feel differently about this person. We may – never be close but the awful feelings of animosity are gone. Pastor Bob delivered a beautiful homily at church today; I will try to recreate the message he shared with us. 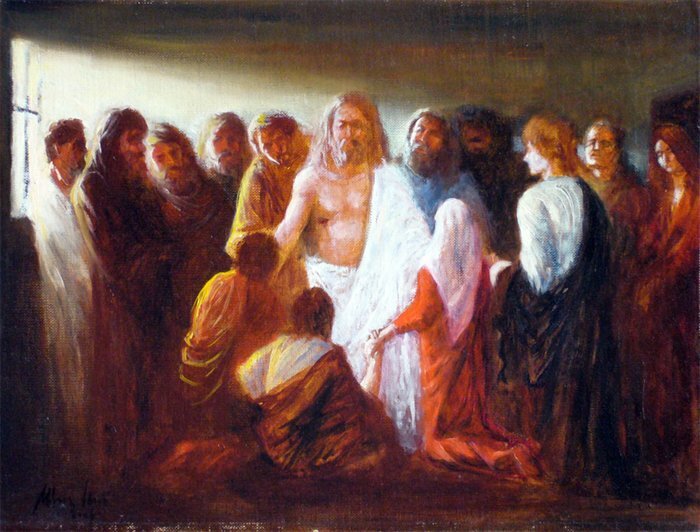 He reflected on the past three Sundays Readings and Gospels which give the accounts of Jesus’ visits with his disciples after his resurrection and before his ascension into Heaven. He noted that Jesus did not go into the teachings of his past three year’ ministry with his disciples, reviewing with them all the facets of the faith he spoke through his Father. It would seem he would warn them or remind them of parables addressing the continual harassment by the scribes and Pharisees who constantly badgered him. Instead, Jesus spoke simply to the disciples of the Father, his Love , Peace and the Holy Spirit. Twice Jesus told them, “If you love me, you will ‘keep’ my words” and the Father will reward that person by making his home with them. When we become like Christ, we automatically do the right thing. Then he told the disciples that the Holy Spirit would dwell within them and would enable them to remember the words and incidences of Jesus and to record them for future posterity. The promised Holy Spirit would enable the apostles to discern the truth, clarify the doctrine and encourage the new believers in faith, the Gentiles. The priest explained how in the First Reading, some were teaching that ‘unless you are circumcised according to the custom of Moses, you cannot be saved.” (Acts 15: 1-2, 22-29.) They were preaching from their previous teachings. Even Paul at one time believed that all new believers should convert to Judaism before they became Christians, relying on previous teachings. With aid of the Holy Spirit, Paul and Barnabas sent men out to maintain Jesus’ doctrinal purity. 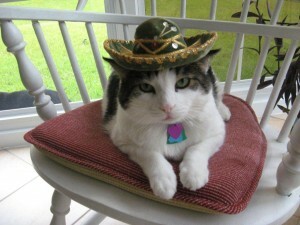 Cinco de Mayo is a celebration held on May 5. A very happy day to all from Gombah. Changes in the world aren’t limited to fast-evolving technology. Many people communicate today by sending email or texting messages. What impact do have these forms of communication have on our interpersonal skills today and how do they change our relationships? The increase in text messaging has increased over the past few years. It’s quick, hip and fast. Emails are similar. You get one and instantly return a reply just as quickly. You get right to the point and feel that you have “communicated”. Most times it’s a short reply answering what the e-mailer asked or a brief acknowledgement that you received it; a few sentences that don’t seem to convey or warrant a thought process. Imagine Robert Browning sending text love messages to Elizabeth Barrett Browning when he became interested in her poems. What if Robert had texted to Elizabeth: “CUL8R CUZ ILY 4EAE” which means for those who don’t text, “See you later because I love you forever and ever.” I wonder if their relationship would have progressed into one of the most famous courtships in literature history. What has happened to handwriting as a communicative tool? It’s a sad fact today that children usually are not taught cursive writing in schools. USA Today reports that penmanship is left behind as states assign dominate class time for literacy ~~ handwriting is not a priority. Many children today cannot read handwriting let alone write it. Although 90 percent of teachers surveyed said that they do teach handwriting, they say they spend 60 minutes a week or 15 minutes a day teaching it. Anyone who has been taught the Palmer method of handwriting spent more time than that learning to write. The Palmer Method was developed by Austin Norman Palmer around 1888 and became the most popular handwriting system in the early 1900s. It lasted until displacement by the movement to teach printing instead of cursive as the dominant handwriting style for students. And they all print today. Besides being a deterrent in not being able to sign and write out a check or sign a will, handwriting is a personal signature reflection of a person. What would handwriting experts do without them? 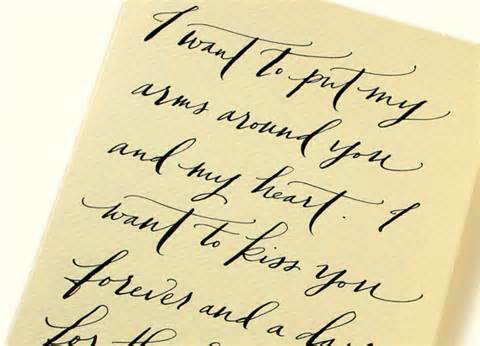 The lost art here is the personal, intimate handwritten note or letter. There are directives today in busness to add a special touch to your customers so that a ‘relationship’ is formed for future or referral business. In these down economy times, an added word of concern or personalization makes you feel that someone in business is looking out for your welfare. Notes or brief letters to customers have become an ‘in’ thing to do. They do make a difference even though you are aware that it is a business ploy since a handwritten note on your birthday or on a holiday adds a specialness even to the business relationship. Even more so is this intimacy enjoyed through people we love as well as friends, acquaintances or budding relationships. 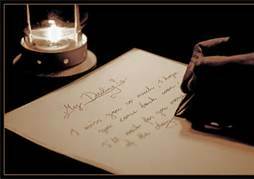 A hand-written note is a personal reflection from someone expressly centered on you. 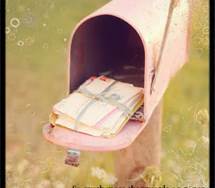 A posted hand-written letter received by you can lift your spirits on a congratulatory event, enjoying appreciative thanks for something, an invitatin to a special gathering, or commisserating with something you have lost. You might have a milestone birthday or anniversary, have been recognized for something out of the ordinary, or simply receive something that someone thought you might want to know about. When you receive these special remembrances, you usually leave them out on the mantel for some time and relive the special, good feeling you got when you received it. As Liz Carpenter remarked, “What a lot we lost when we stopped writing letters. You can’t reread a phone call”. 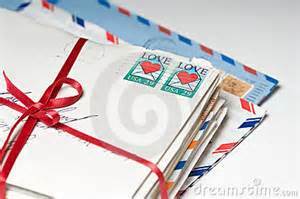 There are many reasons to revive letter writing. Anyone who has letters from a loved one tied together with a ribbon, or a shoebox of notes and letters from the past, or letters written during a separation relive the experience of visiting them once again. I save every handwritten note that was ever written to me. A few were the last communication I received from a person, and some were recognition laurels I didn’t realize I had done and some were silly, past experiences that still bring a smile to my face. They are all special to me. There is hope in bringing back handwriting as the Palmer method is experienceing renewed attention. Because the Palmer method has a focus on shoulder and arm movements, it is helpful for many with limited movement of the fingers.working in facilitated communication for the disabled. The focus on shoulder and arm movements, it is helpful for many with limited movement of the fingers. Perhaps, too, it will help others with limited use of conversational communication to again express words of intimacy.